Helen Evans Home is a 42-bed residential facility located in Hacienda Heights, California. We have been providing exceptional care for infants, children and young adults with special needs for over 40 years. With the help of dedicated and caring staff, we strive to provide an optimum level of care that allows each individual client the opportunity for maximum personal growth and independence. 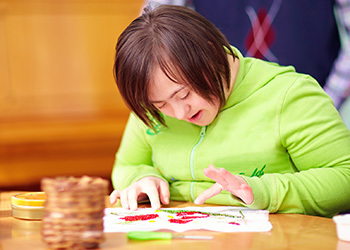 Helen Evans Home is licensed by the California Department of Public Health (CDPH) as an Intermediate Care Facility for Developmentally Disabled (ICF-DD). We are Medi-Cal funded but we also take private pay. At Helen Evans Home we provide 24-hour nursing care and offer a wide range of support services all contracted with reputable agencies or consultants. We utilize a variety of community hospitals and specialists to add to the comprehensive medical care of each client and provide them with transportation to and from medical appointments. Contact us today to learn more about our specialized care. We look forward to speaking with you.